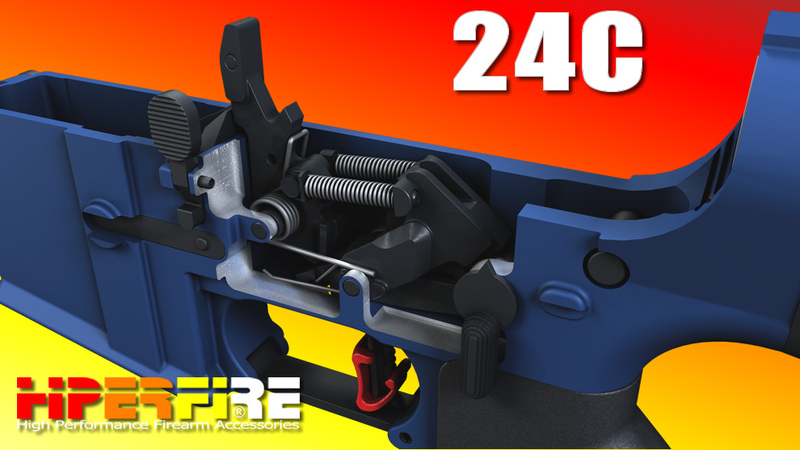 The HIPERTOUCH® 24C is the competition version of high precision fire-control drop-ins for installation in AR-15® and AR-10® type rifles. 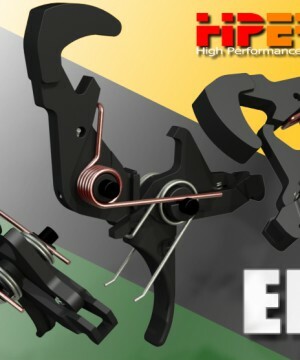 The HIPERTOUCH® name is short forHIgh PERformance TOUCH, 24 for user adjustable trigger weights and C for competition marksmen like 3-Gunners. 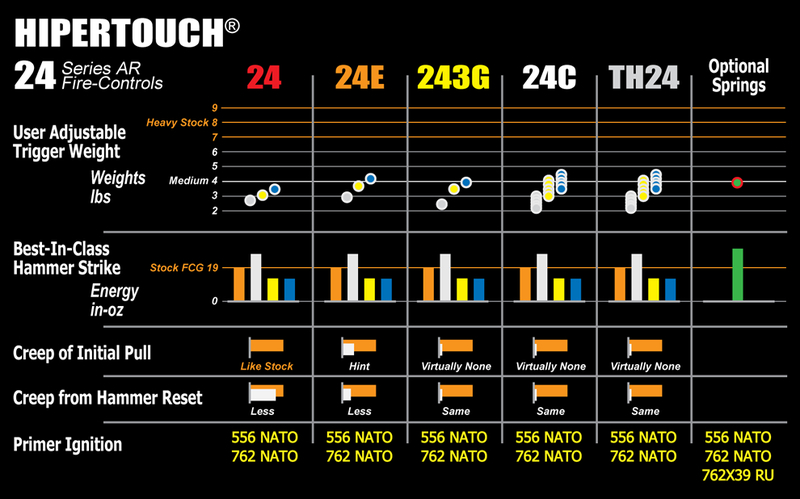 It installs and functions just like the HIPERTOUCH® 24 but with half the pre-travel and a faster reset. For installation and operational features of the HIPERTOUCH® family of AR fire-controls, go to the HIPERTOUCH® 24 page and watch the videos. View this graphic, AR-15LowerCavity.PDF. 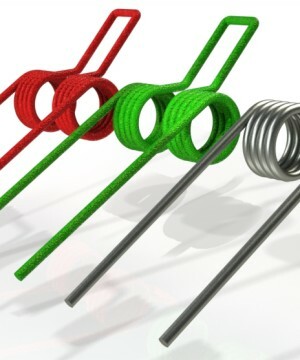 HIPERTOUCH® FCGs may not work in lowers with pivot holes that are outside the MIL-Spec dimensions shown in RED. Trigger Weight: The real culprit behind high trigger pull weight is high sear impingement force that produces high friction. 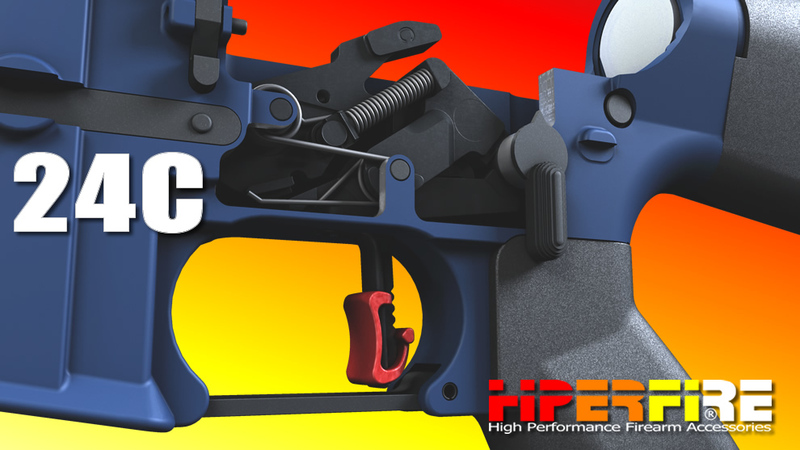 To get around that, the stock “AR” trigger and hammer mechanical advantage was changed and the toggle spring feature added to reduce the impingement force on the trigger sear. 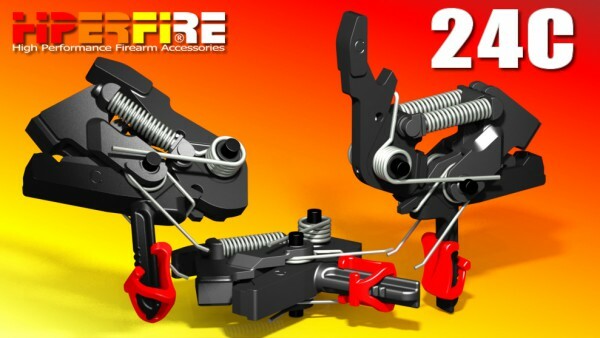 Designers of two-stage products changed the functional location of the primary sear; HIPERFIRE®’s design has not, retaining the stock design’s single-stage simplicity. This is important for when stock triggers are pulled, the hammer cam-action signals hammer fall is imminent. When 2-stage triggers are pulled, the final higher weight stage also signals hammer fall. This can lead to the flinching problem we all know about. Some like to say the better 2-stage triggers have glass rod or candy-cane like breaks to sell the idea that they don’t signal hammer fall. In any case, the HIPERTOUCH® 24C does not signal hammer fall because the trigger weight is constant over the entire stroke. The HIPERFIRE® “AR” accessory response to those shooter’s looking for a single-stage and very much improved, match quality, “AR” trigger upgrade that delivers high performance is the HIPERTOUCH® 24C. It nests in unmodified standard AR-15® and AR-10® type lower receivers in the same way as stock “AR” triggers and hammers without having to remove the safety selector. It is comprised of three subassemblies: the trigger, hammer, and toggle, spring groups. All the parts are made from carbon steel alloys that have been hardened for wear and strength. It features exceptionally low trigger weights with smooth pre-travel, a very clean hammer release with no report to break, match action response, and faster hammer lock-up. 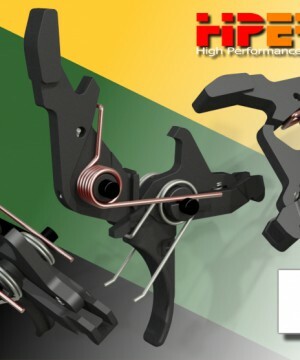 Only now with HIPERTOUCH® trigger and hammer actions does “AR” trigger “squeeze” have real meaning. Additionally, the HIPERTOUCH® 24C also sports the HIPERSHOE® adjustable finger pad, which can be positioned at five (5) different vertical detent locations along the 24C’s straight trigger. By changing location, the shooter can further adjust pre-travel and weight within a broader range than without it as desired for even more trigger responsiveness. Also, the adjustable pad lengthens slightly the extension of the finger to the pad with respect to the pistol grip, which alters the feel and dexterity of the finger on the trigger for added comfort and/or control. 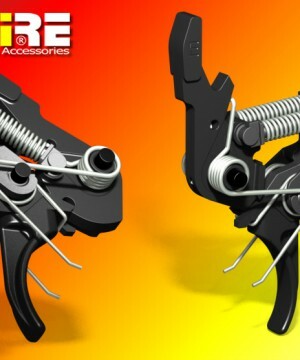 The trigger can be installed and operated with and without the shoe.